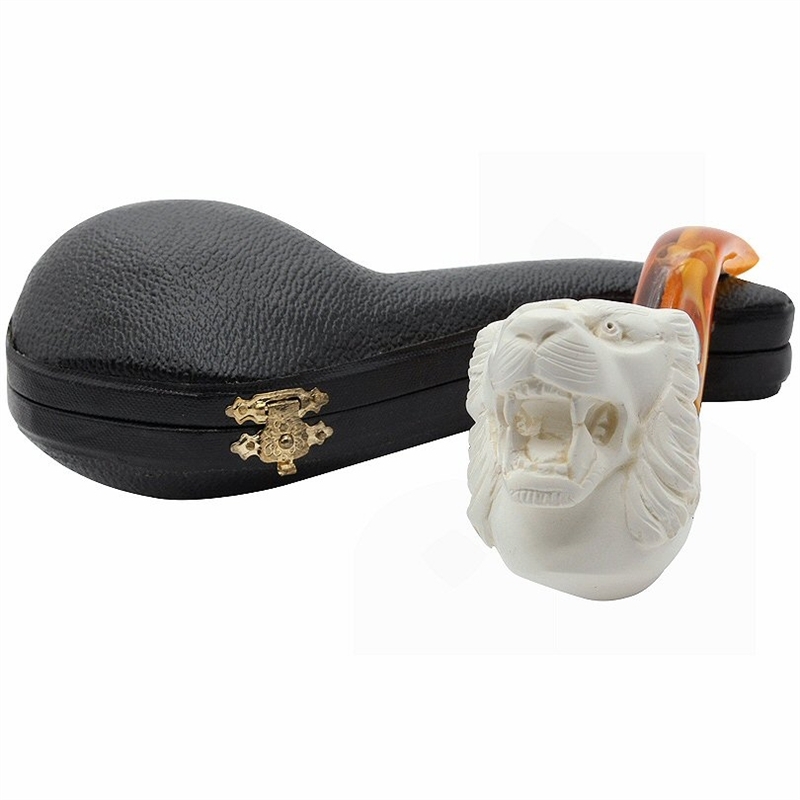 Hand Carved Snarling Tiger Meerschaum Pipe - Carved snarling tiger head pipe is a bold size bowl with a solid feel in the hand. 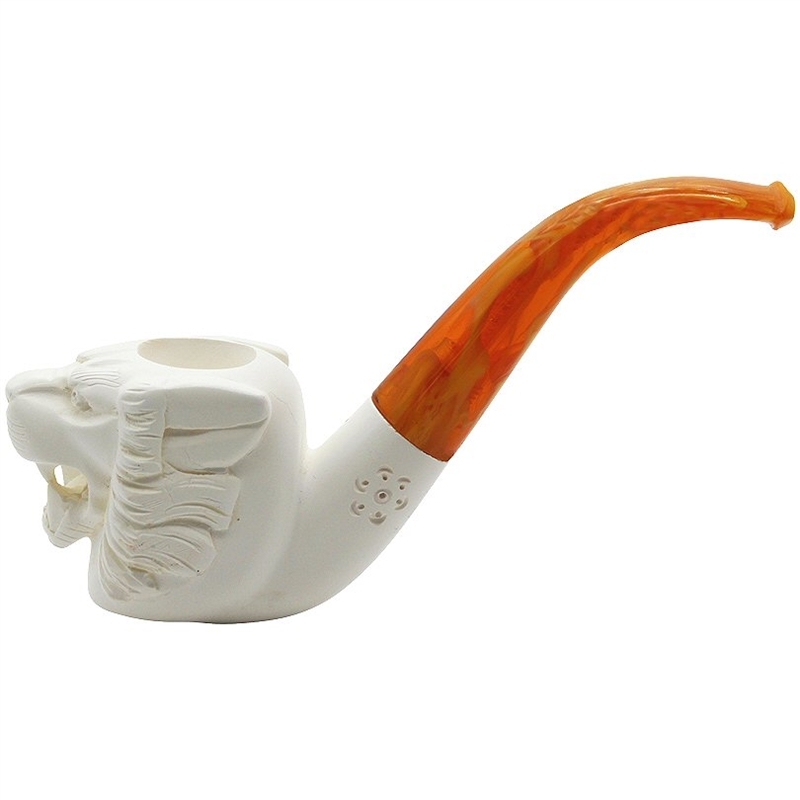 A touch of carved decorative lattice is on each side of the shank. The stem is fully bent and is a translucent marbled amber color.